Lake Garda in Northern Italy is a favorite place to visit. Usually we stay on the western side but on a recent trip, Michele and I decided to stay in Bardolino, which is on the eastern side. Bardolino is a very picturesque town right on the lake. We stayed in a hotel about a kilometer from the center and it was a lovely walk along the lake into town. There are many excellent restaurants in the area. Enoteca con Cucina Il Giardino delle Esperidi This restaurant in the heart of Bardolino is a true gem. A friend and fellow wine writer, Tom Hyland, recommended it. 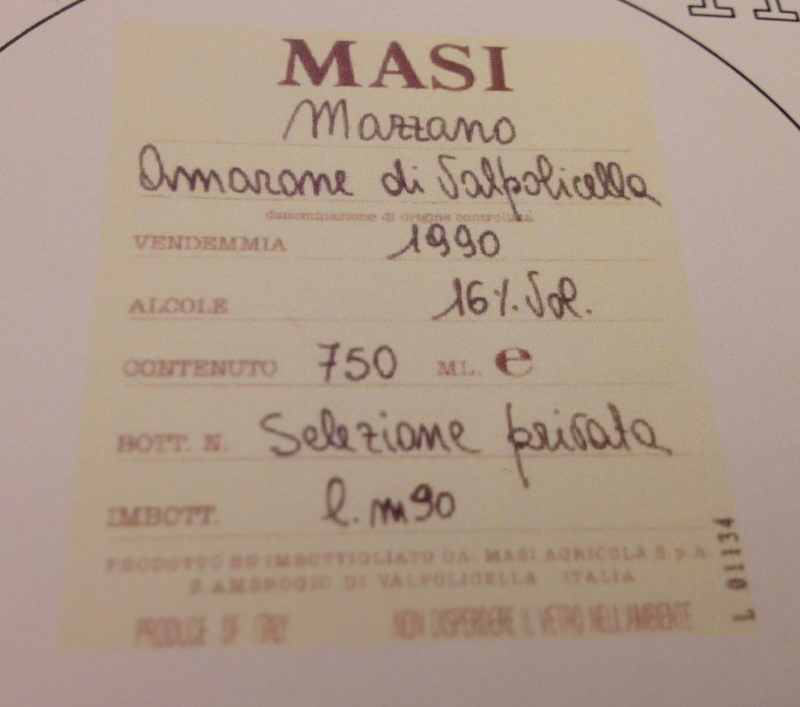 There are about 700 labels on the wine list, both Italian and foreign, and a large selection of Champagne. The prices are very good. When we arrived, Susanna Tezzon, who runs the front of the house and is in charge of the wines, greeted us. 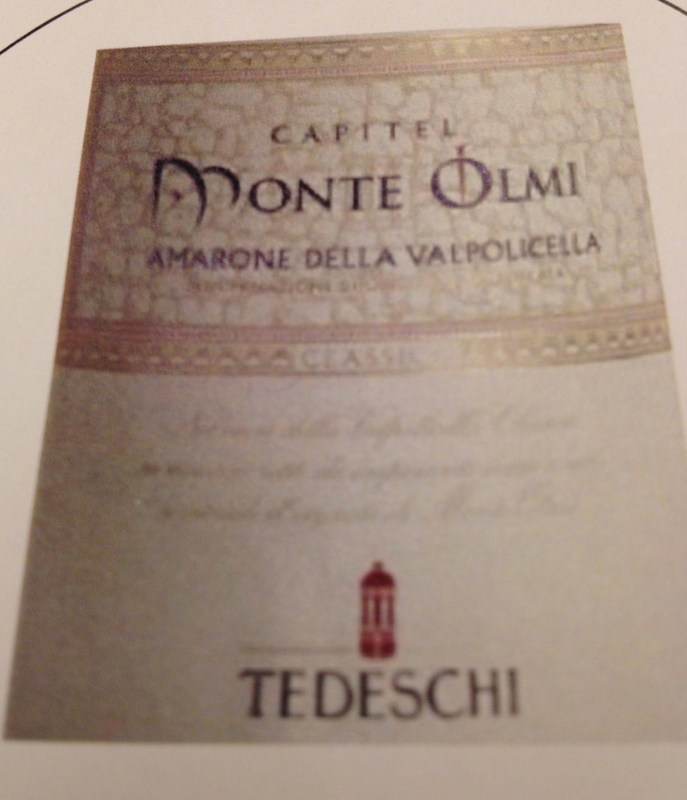 After speaking with Susanna, I ordered a bottle of Emidio Pepe 2003 Montepulciano d’Abruzzo. 100% Montepulciano d’Abuzzo. The Emidio Pepe winery is both organic and biodynamic. The winery belongs to the Triple “A”– Agriculturists Artisans Artists, an association of wine producers from around the world that believes in Organic and Bio-Dynamic production, terroir, and as little interference as possible by the winemaker in the winemaking process. In their vineyard only sulphur and copper water are used along with biodynamic preparations. Only natural yeast is used which gives the wine more complexity because there are so many different strains of yeast on the grapes and in the air. The grapes are crushed by hand. No sulfites are added to the wine. The juice is placed in glass lined cement tanks of 20/25hl. The wine remains here for two years. The wine is then transferred to bottles by hand. Susanna brought out a decanter and said it was a one made especially for organic wines. I had never heard of this before but the restaurant was busy and we were enjoying the food and wine so much that I did not ask any more about it. Antica Locanda sul Mincio in Borghetto Valeggio sul Mincio. This restaurant may be Michele’s favorite as far as location is concerned. The outdoor dining area is on the riverbank of the Mincio River and it overlooks the medieval village. The view is incomparable. The restaurant has more than just a picturesque setting, however, the food is also excellent. Among the dishes we had were grilled polenta with fresh salame, ravioli filled with pear and ricotta and for a main course, roasted goat. 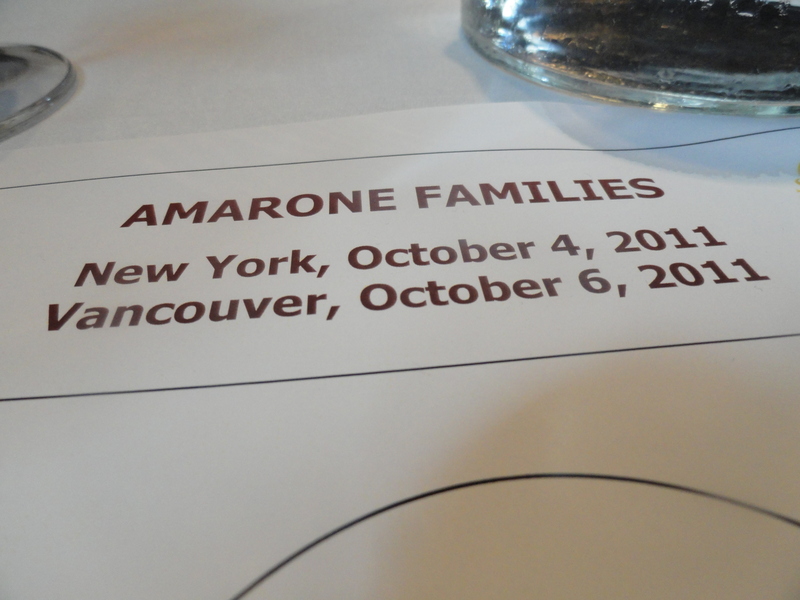 With our meal we drank a bottle of Valpolicella Superiore from Azienda Agricola Marion DOC. 10% Corvina Gentile, 60% Corvina Grossa, 20% Rondinella, 10% Teroldego and other varieties.The winery is in the foothills of the Marcellise Valley some 100 meters above sea level. The vineyards lie on gently sloping hills facing from north to south. The soil is chalk with a little clay and stones. The grapes are harvested between the first and second weeks of September and the first week of October. Part of the grapes are collected in boxes and then placed on wooden racks in well-ventilated rooms, where they are partially dried for approximately 40 days. A second part is left hanging on the vines until it reaches super-ripeness, to be harvested during the first ten days of October, and then pressed. After fermentation the wines obtained are aged separately in small oak barrels for about 30 months and lastly blended and bottled. This is a wine with a lot of body and aromas and flavors of prunes and blackberries. Taverna Kus di Zanolli Giancarlo This restaurant is in San Zeno di Montagna and there is a great view of Lake Garda below and Monte Baldo above. There is a garden dining area, a covered outdoor area, and an inside area. 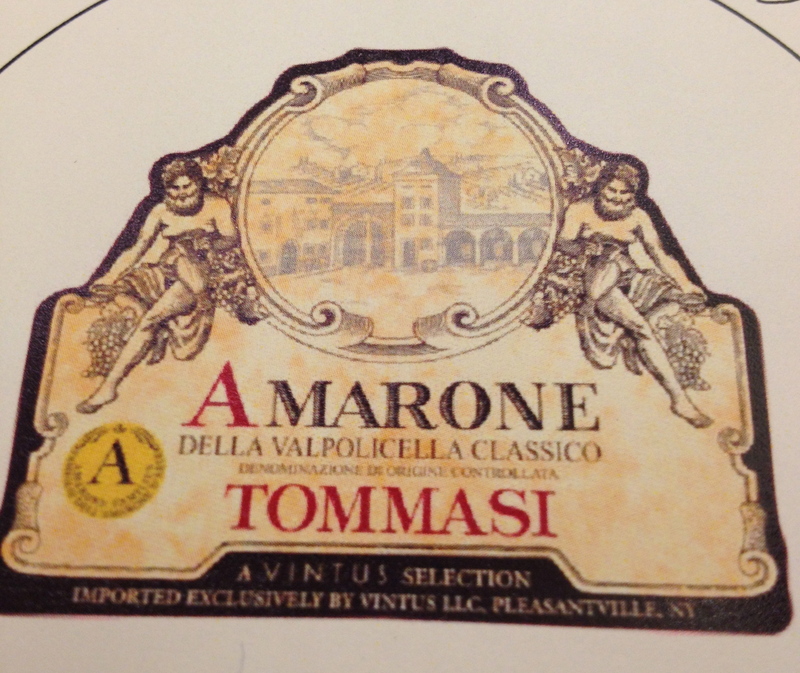 We drank a 2006 Amarone della Valpolicella from one of the best producers of Soave Pieprone. 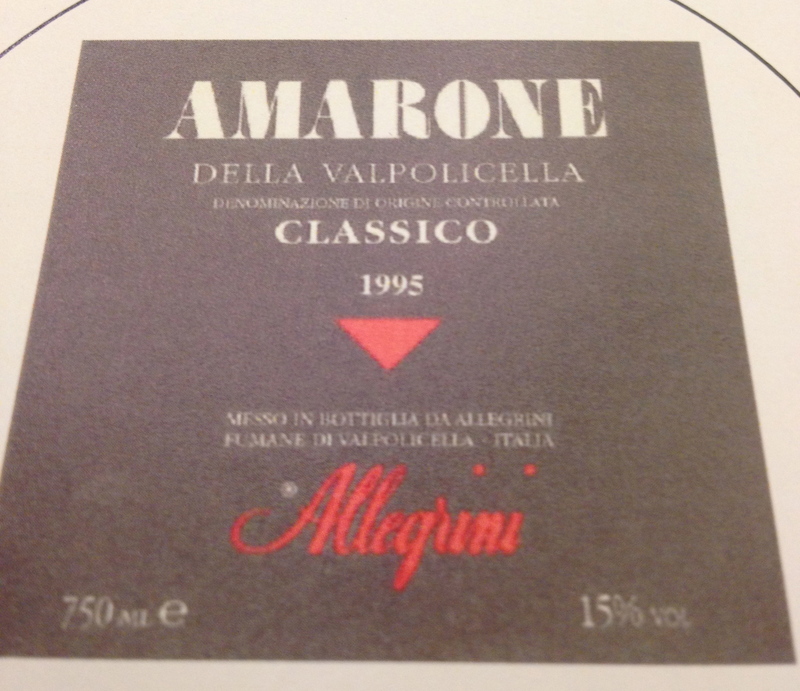 In 1999 the Pieropan family purchased property in the Cellore d’Illasi zone in the Valpolicella and Amarone production zones. The wine is made from 60% Corvina, 30% Corvinone, Rondinella and Croatina, and 10% of old traditional Valpolicella varieties. The vineyard is 14 years old and is South facing at an altitude of 500 meters. There are 5,800 vines per hectare, the training system is guyot, pruned to 8 buds per vine. The grapes are hand picked in September and naturally dried. They are pressed and destemmed and the must is fermented for about 30 days during which time pumping over and punching down the cap takes place every day. Aging is in 500 liter barrels for 24/30 months and one year in bottle before release. 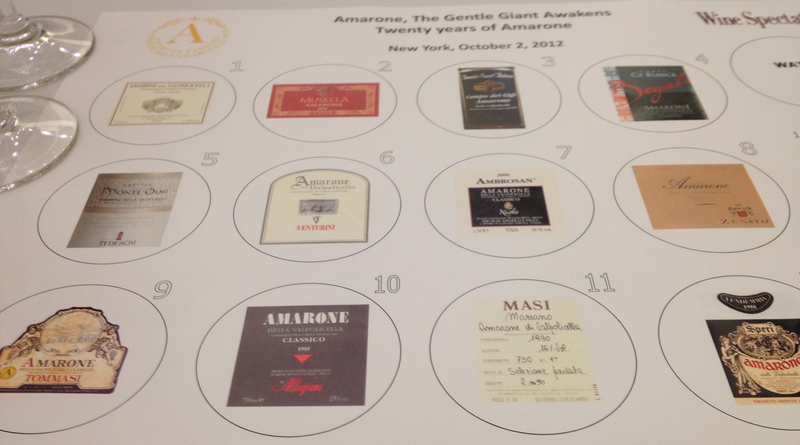 This is an Amarone to drink with food. It has hints of blackberries, black cherries and plums. This is the first tine I have had this wine and I was very impressed by it. We began our meal with plates of culatello accompanied by carrot mostarda, followed by a dish of artichokes baked with cheese, an unusual dish that we really enjoyed. Ristorante Alla Borsa- this is a restaurant in center of the town of Valleggio sul Mincio. It used to be a trattoria where the merchants of the village met to conduct business. Because of this it was called Borsa, which means purse or stock exchange in Italian. The restaurant has a very nice outdoor garden where one can dine and view the old Scaligero castle. 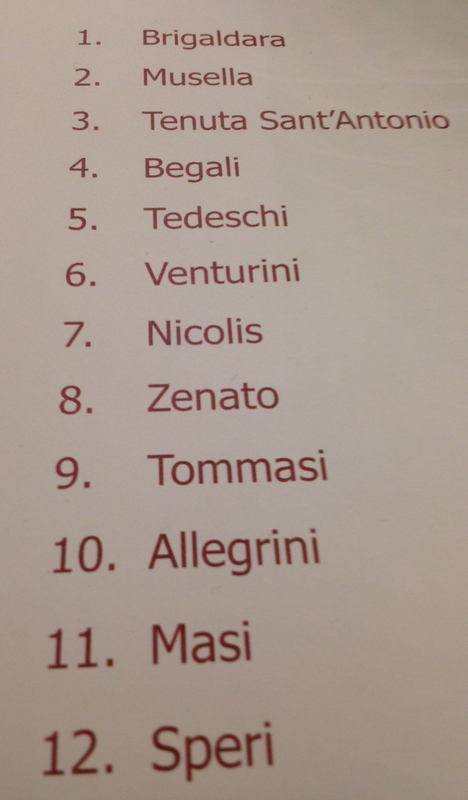 We drank a Valpolicella Classico Superiore IGT 2010 “La Fabriseria” from Tedeschi. 35% Corvina, 30% Corvinone, 30% Rondinella and 5% Oseleta. 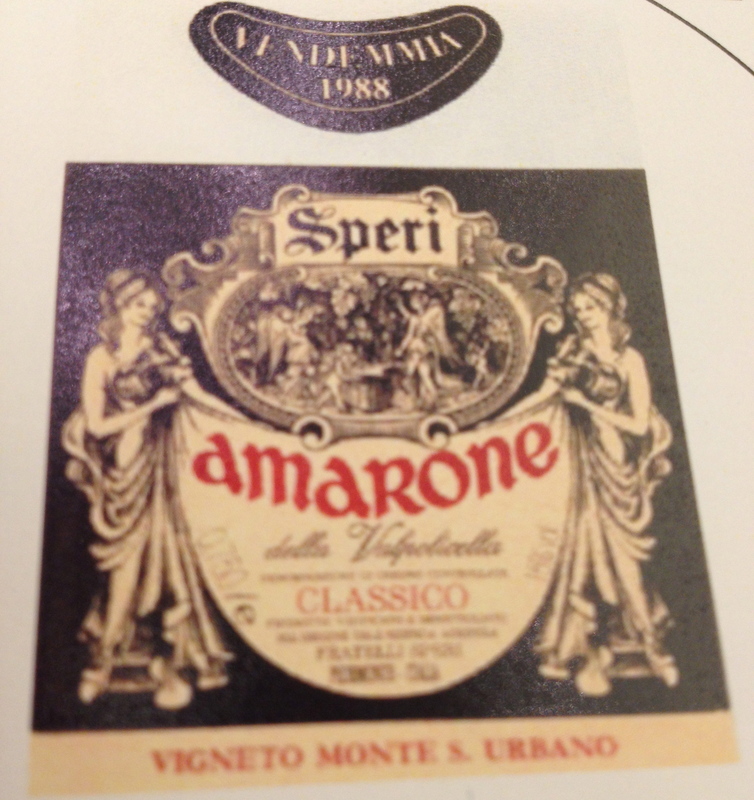 The wine is made from grapes that are used for their amarone but are fermented without drying. The grapes are harvested in October and are slightly overripe. The pressing is very soft so that some of the grapes remain whole with the stem. The must ferments in small fermenting vats. Alcoholic fermentation lasts for about ten days. Skin contact is for about 20 days and malolactic fermentation is quickly terminated in Slovenian oak barrels. The wine is aged one year in wood and six months in bottle before release. The wine had hints of prunes and cherries and a hint of vanilla. The town of Valeggio sul Mincio and the Restaurant Alla Borsa are renowned for their excellent tortellini, so we had three varieties: cheese, butternut squash and meat filled.